Another extremely common source of concern within utility bills is the gas expense. Our expert team of auditors will comb through your business’ information to find you as many opportunities as possible for cost-saving reductions within your gas payment plan. We’ll determine the depth of over-billing and help find you savings. Access 16 cost-saving solutions spanning 4 subcategories (Utilities, Contract Services, Financial Services, and Commercial Real Estate). There is often one, or more, areas in which we can aid our clients. Util Auditors deploys proprietary knowledge, methods, and superior technology to thoroughly analyze invoices and services for errors, anomalies, and inefficiency in billing. Clients can login to track the progress of each audit, at each location, in “real time” using our Client Portal. An interim report of findings can be downloaded at any time during the audit process through our Client Portal. A formal report of our audit recommendations is provided by Util Auditors on every audit project. 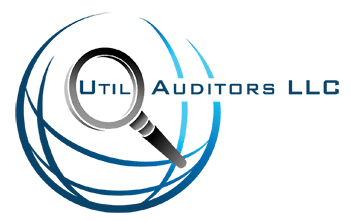 Where some audit firms simply make recommendations, Util Auditors will assist you to implement the cost savings and obtain the refunds that we identify. We will act as your project lead, completing paperwork and compiling claim documents for your review that are required to realize the benefit of what we propose. As a contingency-based service we only invoice for cost savings and refunds if, and after, the client realizes them. We understand that one of the most important aspects of completing a multi-audit project, potentially with many locations, is visibility. As the client, you want to know what we have found, where and in what cost centers we found it, and what net benefits to expect. 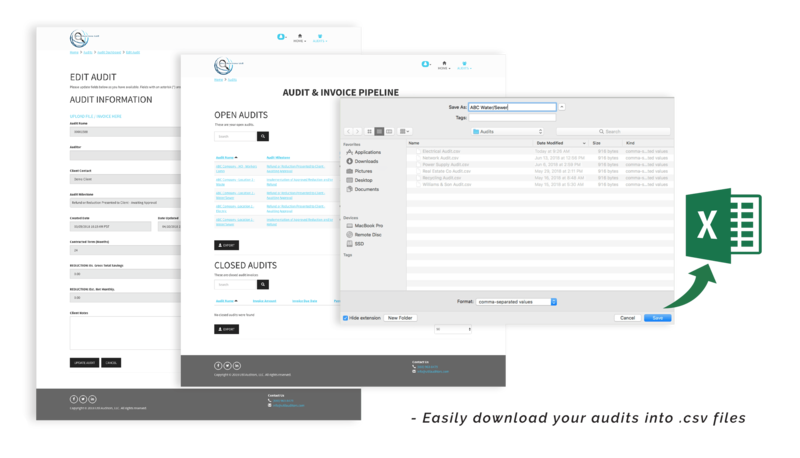 Additionally, you will be able to view notes on each audit as provided by the Auditor, and will have the ability to respond to questions or requests within the portal. At Util Auditors, we are passionate about serving our clients, increasing operating efficiency and cutting costs. We treat each client the same to identify cost saving opportunities, and provide the absolute best solutions. It is this consistency and commitment that allows us to continuously exceed the expectations of our clients. We have provided cost reduction services as well as utility refunds to over 275 clients including Fortune 100 and 500 companies. Copyright © 2018 Util Auditors, LLC. All rights reserved.